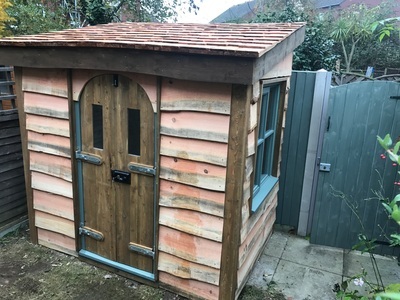 This cute little garden office was to replace a rotten old off the shelf shed that had a leaking roof. 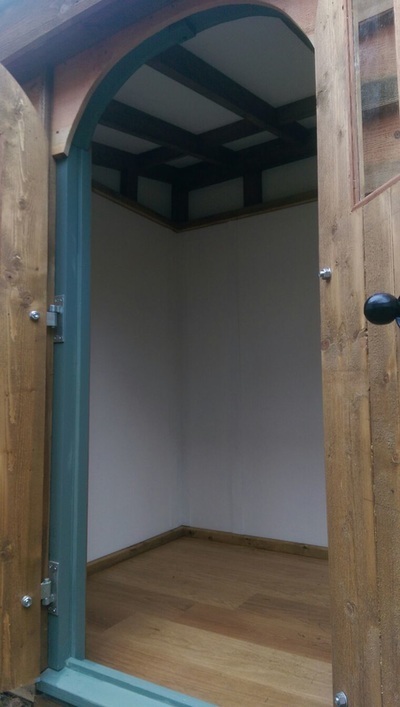 It is not very large (2.1 meters x 1.5 meters) but did the job. 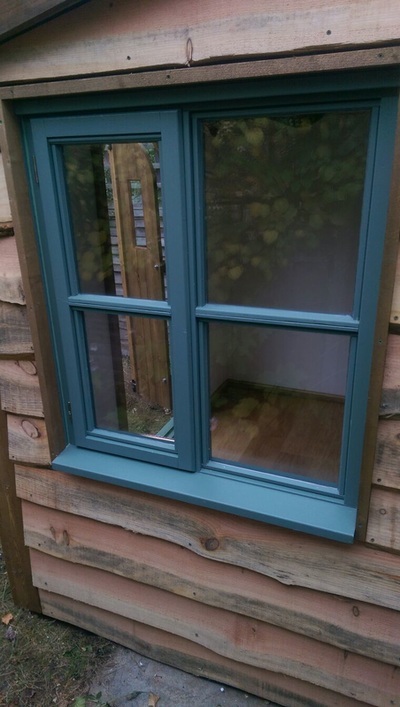 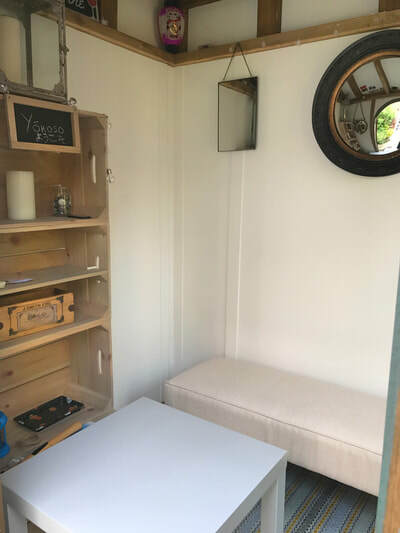 The cabin is fully insulated and has a hardwood floor, a double glazed window and a custom made door. 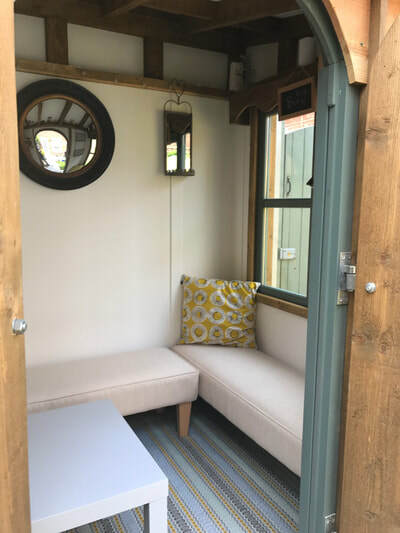 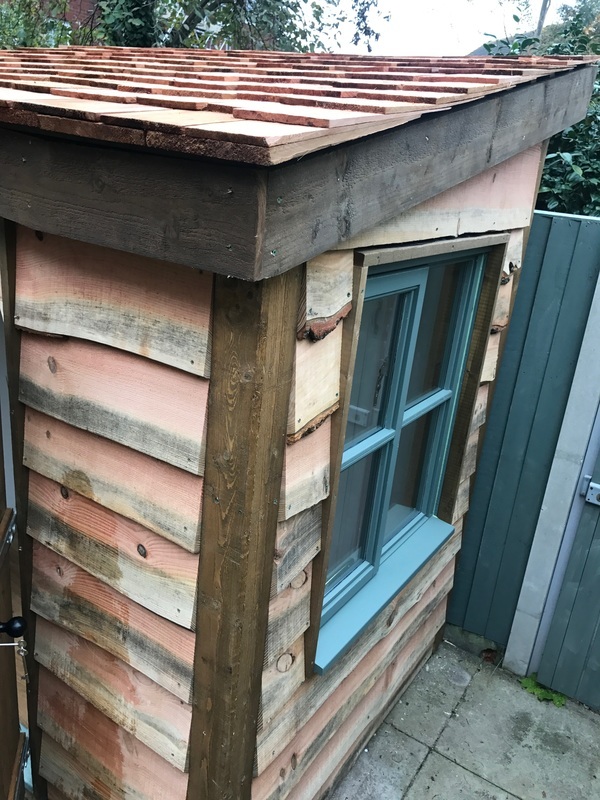 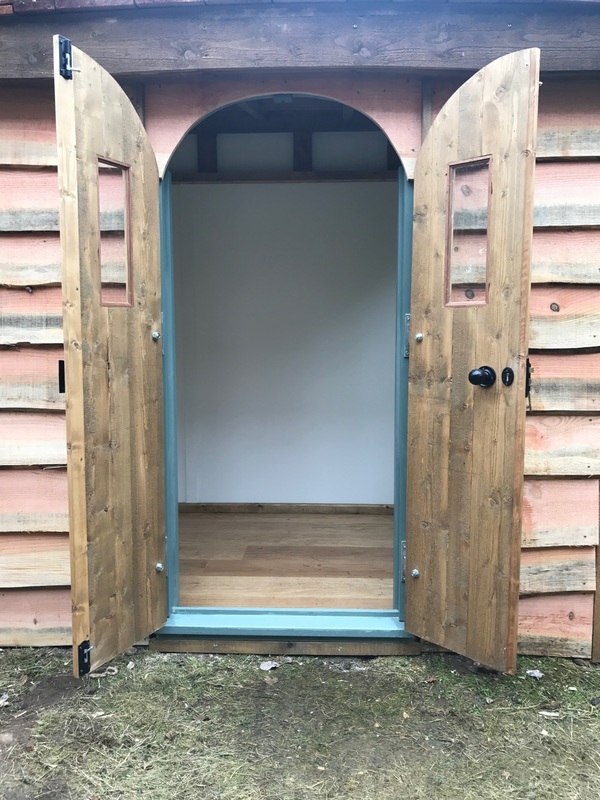 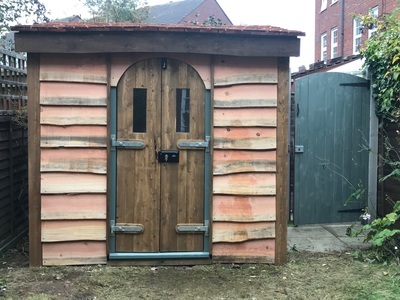 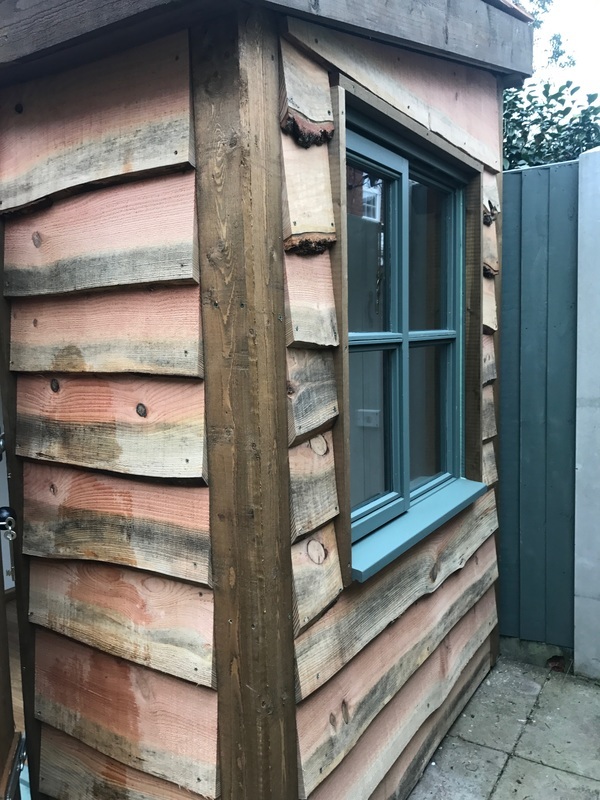 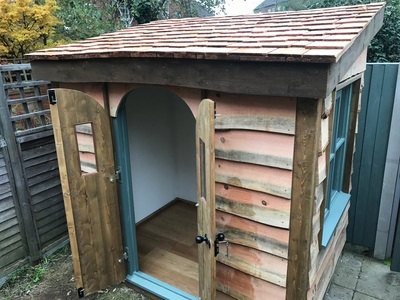 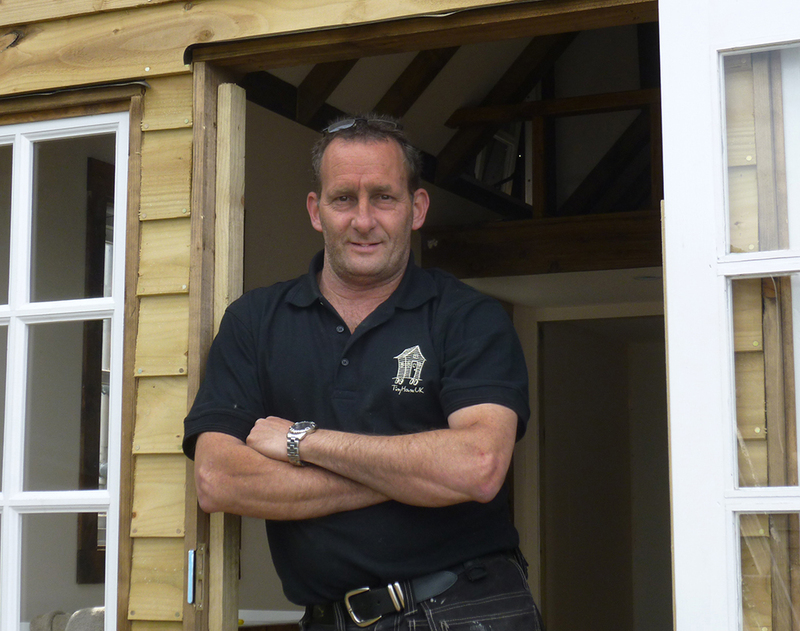 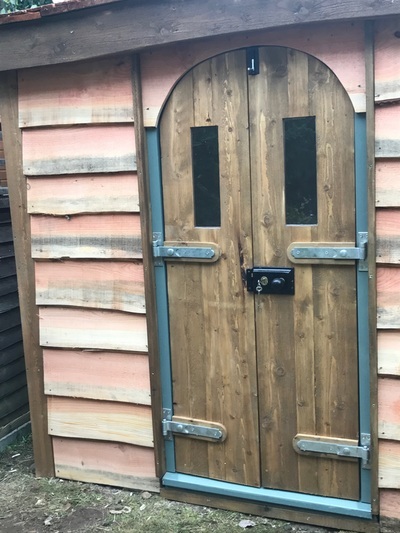 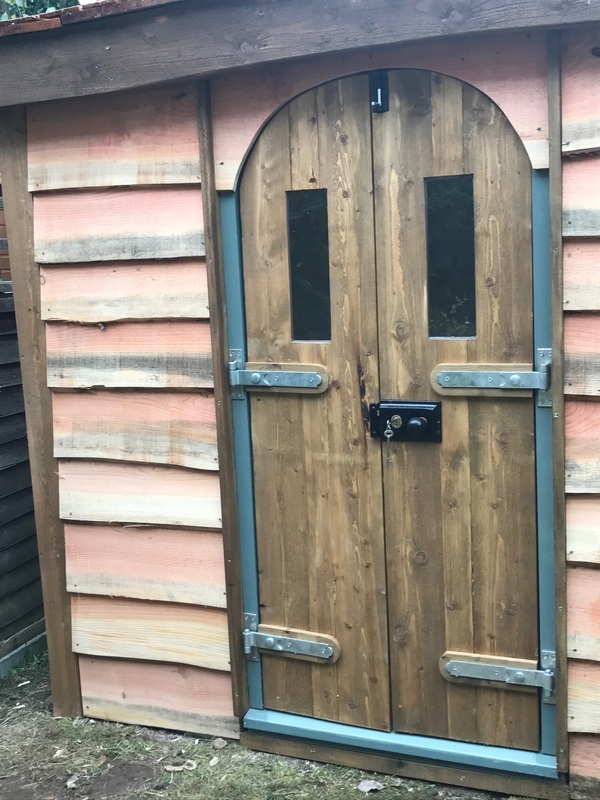 The roof is cedar with a double layer of breathable felt, the rear outer walls facing the fence are treated featheredge and the two faceing walls are Larch Waney Edge.